If you’ve scratched beach towns off your list of best places to retire in Florida because you think living near the ocean will strain your life savings, make sure you check out Bear Creek before you give up on your dreams of retiring near the water. We’ve found a way to make living only a few miles from the Atlantic Ocean an affordable option for many active adults. 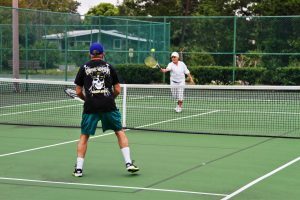 In fact, the location of our gated community of high-caliber manufactured homes for adults 55 and older makes long walks on the beach, charter fishing opportunities, sunset cruises, parasailing, and other aquatic adventures a daily possibility for our residents. What’s more, lawn mowing is included in the services you will receive at Bear Creek, which will free up more time for you to enjoy all the resort-style amenities and surrounding attractions that make our community one of the best places to retire in Florida. Contact us today to learn more. We’ll also be happy to schedule a tour for you when you’re in the area.